We do SEO better and more effective! SEO is the practice of improving a website in order to improve its ranking when people search for related terms online. There are many aspects that contribute to SEO, from the words, images, and videos on the site – to the code structure. User experience and social interaction are all indexed and interpreted to determine where your site falls on the search results page. Since we craft and manage your SEO from the code upward, we make the best of every detail to improve your search engine rankings. One of the biggest mistakes we see is when a company makes a few changes to their website, and when they don’t immediately see more traffic, they think that SEO doesn’t work. That’s like going to the gym once, doing 15 jumping jacks and wondering why you’re not ripped yet! What we’ve seen is that it takes about 3 months of consistent effort to start seeing results. The problem is that without a real plan and system, it’s going to be hard to stay consistent and see results. Plus, you’re going to need an expert helping you so you aren’t wasting your time doing the wrong things. We made something to solve all these problems- it’s called Killer X. Its a powerful Search Engine Optimization tool built to help your company drive results online and make you the primary result for new, potential customers. We continually manage campaign details such as keywords, placement bids, creative and even website design to optimize the quality of your SEO, making your web presence as effective as possible, while staying on budget. We provide our clients with analytics and tracking so that everyone can access the effectiveness of your site performance. We pride ourselves on having a different and more effective SEO strategy than others. We start with keyword research to get an understanding of what consumers in your area are searching for most. Then we work to understand where your company sits in these search results compared to others through a competitive gap analysis. Next we focus on a number of internal optimization strategies, such as high quality and diverse link building and producing high quality blog content to organically up your ranking in search engine results. Every website has different goals based on the company's goals. We work with you to create a 100% customized website to meet your specific goals. Things like a call to action and website design should be prominent and focused.  Lucky for you, Killerspots also specializes in website design, so we understand how search engines read your website, and help them understand that your website deserves to be at the top of search results. All the extra pieces of SEO are what makes your website standout among the competition. We offer support in boosting links, building access to rank tracking, processing N.A.P. listings across the web, video creation with tags, and four 1000 word blogs. Let us show you the difference - all we need is three months to show you how much your website can grow with us on your team. Do you need a quote or more information about SEO production?